Eczema is a generalized term that encompasses various inflammatory skin conditions. It is used synonymously with the term "Dermatitis" which means superficial inflammation of the skin (epidermis) that can be acute, chronic and recurring; can have a number of causes. Atopic dermatitis is another term used to define eczema. 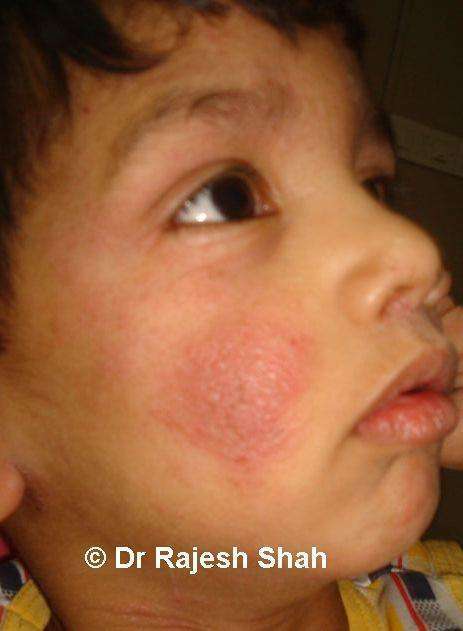 Eczema is characterized by very distinctive reactive patterns of the skin, as discussed below. Eczema is an inflammation of the skin which is characterized by dryness, flakiness, heat and, probably most importantly, itching. Eczema can occur on just about any part of the body; however, in infants, eczema typically occurs on the forehead, cheeks, forearms, legs, scalp, and neck. Affected areas usually appear very dry, thickened, or scaly. 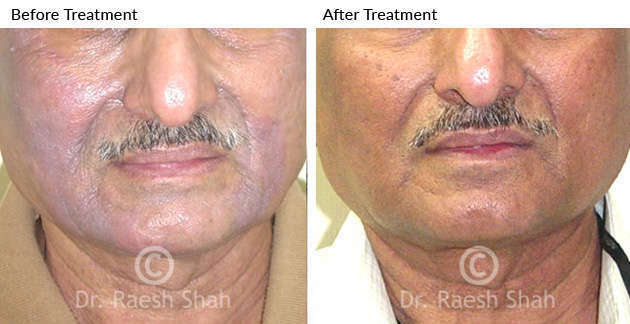 There may be some amount of hyperpigmentation of the affected parts. In children and adults, eczema typically occurs on the face, neck, and the insides of the elbows, knees, and ankles. In some people, the itchy rash can produce an oozing and crusting. In others, the condition may appear more scaly, dry, and red. Chronic scratching causes the skin to take on a leathery texture because the skin has thickened (lichenification). There are two groups of eczemas called exogenous and endogenous. Exogenous eczema is mostly caused by contact with external factors such as irritant substances, certain allergens and due to photosensitivity. Endogenous eczema is due to internal factors such as a generalized and prolonged hypersensitivity (atopy) to certain environmental factors. These factors could be chemicals, drugs, pollen, dust mites, etc. These individuals also frequently exhibit one or more of other disorders such as asthma, hay fever, urticaria, food allergies, etc. Eczema is a chronic skin disease reflected due to immunological changes in the body. Eczema is curable only if the immunological disturbance is corrected by internal medicines such as in homeopathy. Homeopathy offers effective and safe treatment for eczema.